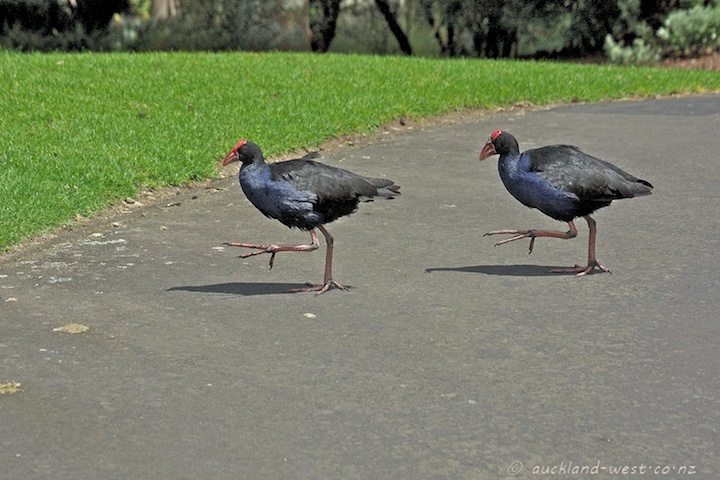 … the pukekos cross the road? And why in perfectly synchronized step? — Rhetorical questions, unless you have the answers for me! Pukekos (Porphyrio porphyrio) are NZ native swamphens, and capable of comical stances which have also been exploitet in commercials, as for example here and here.